Add warmth and traditional beauty to your home with the Jasper Hardwood Flooring Classic Birch Collection. Crafted with a naturally rustic aesthetic, this solid hardwood flooring provides lasting character and style for both classic and modern interior spaces. Sure to complement your decor, this collection provides an on trend reclaimed appearance. If you’re looking for solid hardwood flooring at manufacturer-direct prices, BuildDirect has you covered. Learn more about this quality flooring below. Solid birch flooring: this wood species has typically straight and even grain patterns running throughout, along with some slight waves that provide visual interest. The eye-catching dark brown stain further enhances the birch’s earthy appearance. 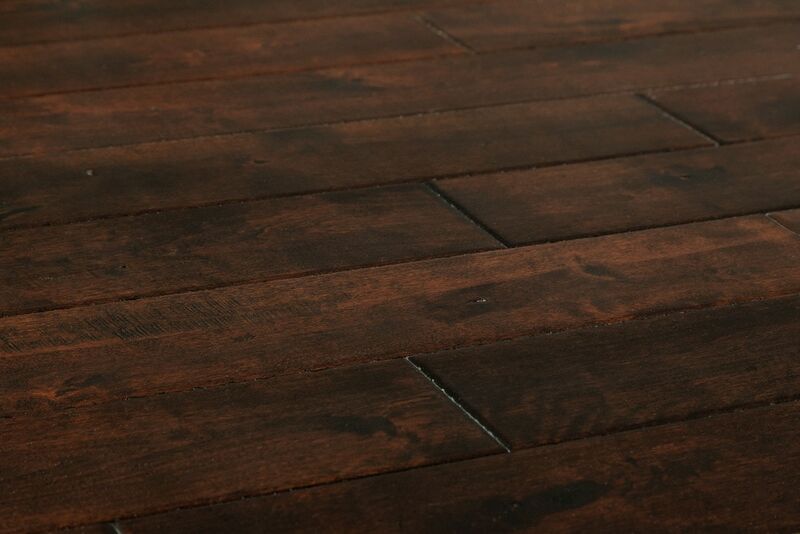 Distressed surface detail: for a stylish, antique appearance, these planks feature a distressed surface texture. This finishing brings out the birch’s natural beauty and conveniently hides minor scratches and imperfections. 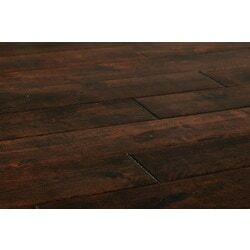 Useful low-gloss finish: with a more matte look, this hardwood’s low gloss finish brings out the birch’s natural color variations and graining. This finish also shows less debris, making these boards easier to keep looking clean. Easy to maintain coating: these quality planks are finished with a UV Lacquer for increased wear and abrasion resistance. Careful craftsmanship: these boards are designed with micro-bevel edges, which make for finished looking installations on leveled surfaces that are prone to small imperfections, or installation in older homes. Installation method: best suited for above ground, residential locations, this hardwood can be installed using a nail down procedure. Robust warranty: Jasper backs this hardwood flooring with a 25-year residential warranty. A 3-year commercial warranty is also included. Plank dimensions: these boards measure 3/4" Thick x 5” Wide x Random Lengths (12” to 48” long, with an average plank length of 28”).